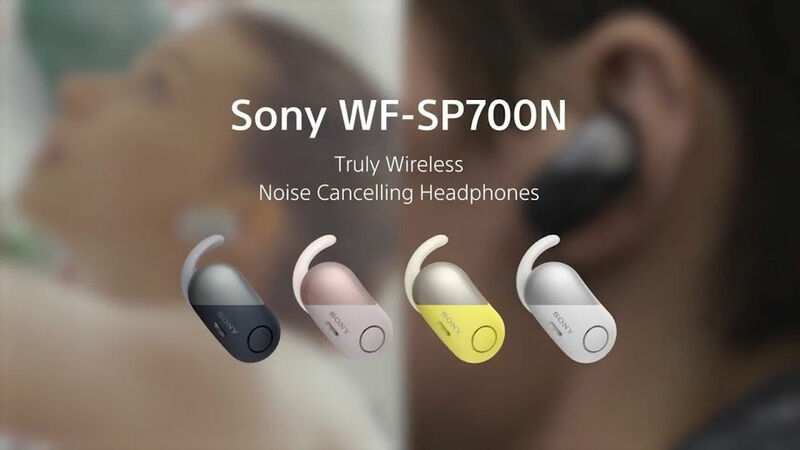 SONY has unveiled its latest wares at CES 2018, including the world’s first truly wireless Noise Cancelling headphones with a splash-proof design. Since more smartphone makers are ditching the headphone jack, it’s a good time to go wireless. The WF-SP700N are the world’s first truly wireless Noise Cancelling headphones with splash-proof and sweat-proof design. These headphones are made for an active lifestyle. Sony tested them extensively with people doing actual workouts, so rest assured that these headphones will stay in your ear while jogging or working out at the gym. They come in a wide variety of colors and not only will they shut out background sound, but they can also withstand rain as well as a sweaty workout. They have an IPX4 rating so they will stand up to your daily grind. If that isn’t enough, Sony says that the WF-SP700N will be optimised for Google’s Assistant, just in case you want to search the web and play music by speaking to them. You can adjust the sound settings on the fly with a little button and access more settings with an accompanying app. They come with a case that also acts as a charger. The case gives you 3 hours of charge time for your headphones, along with two additional charges, for nine hours of charge time total. They will be available this spring for $179.